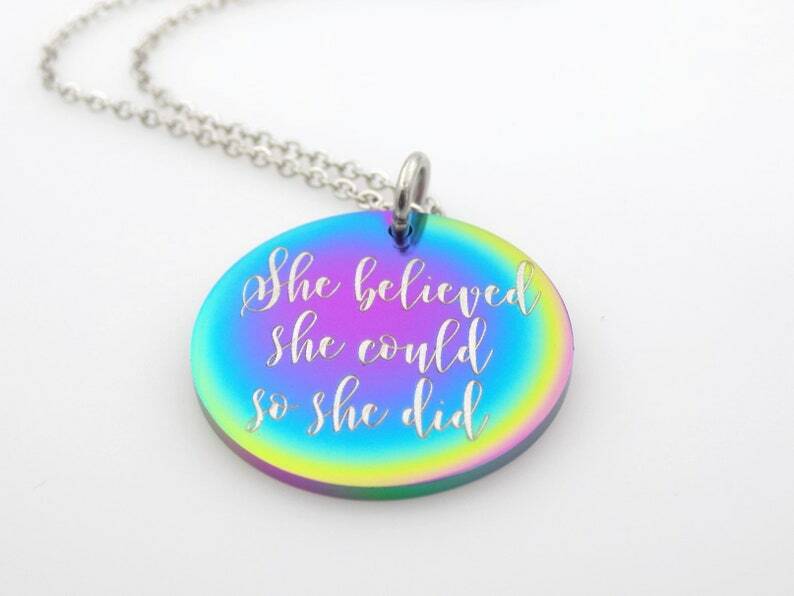 *****PLEASE READ LISTING DETAILS****This unique laser engraved pendant is made out of heat treated stainless steel. It's coloring is unique consisting of yellow, green, blue, purple and pink. Not every blank has every color, and some may have more of one than the other. ·Coloring will consist of shades of either Yellow, Green, Blue, Purple and Pink. All necklaces will contain more than just 1 color though most have a dominant color.